Let us build your custom WordPress website. 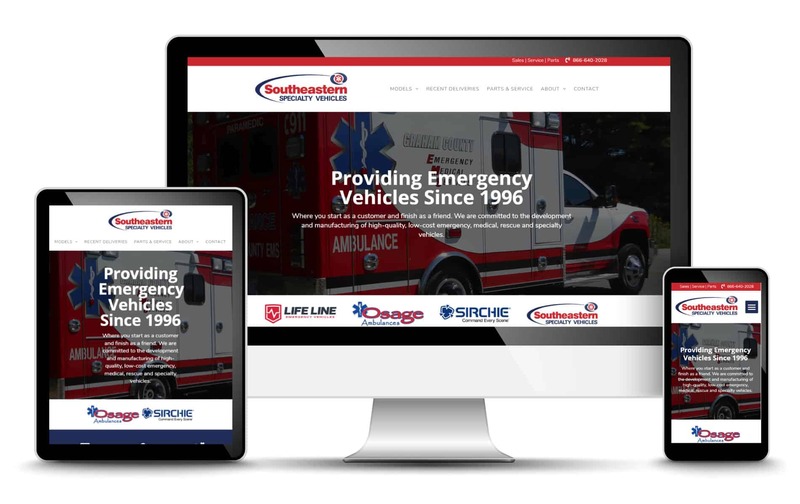 We developed this Automotive website design in WordPress for an Ambulance & Specialty Vehicle company in Henderson, North Carolina. We created beautiful dynamically generated pages using page builder technology with animation to create visual interest. 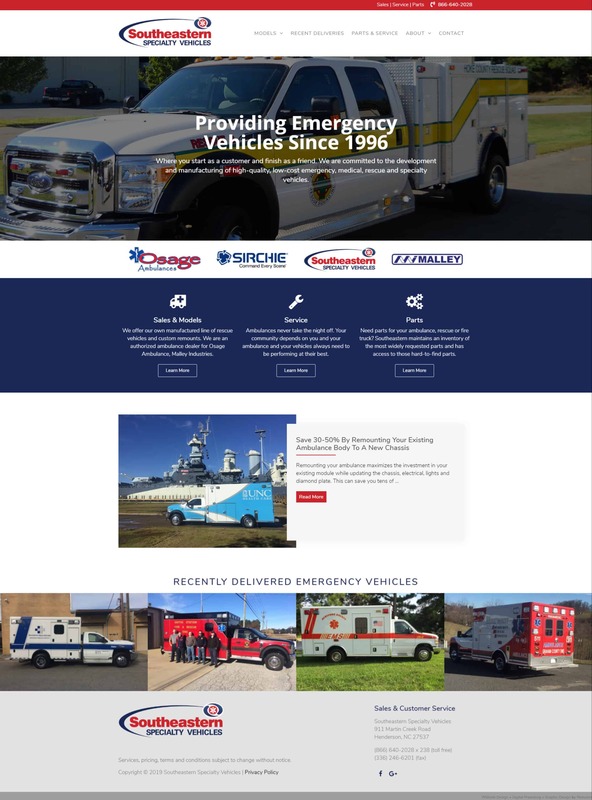 We customized pages for their ambulance deliveries to include all of the information needed for both their future clients and for search engines to rank these pages accordingly. This site has custom page titles, descriptions and overall data to help search engines rank the site for the keywords and information listed on their site. This site was set up to encourage customer reviews through Google when they give a special link to their customers. If the person leaving the review doesn’t have a Google account, there is an option to leave the review on their website which then populates in their testimonial page and throughout their website. This automotive website design scores a 95% (A) and 86% (B) with GT Metrix with a fully loaded time of 2.6 seconds. There were a lot of images used on the home page with added to the load-time and home page size. 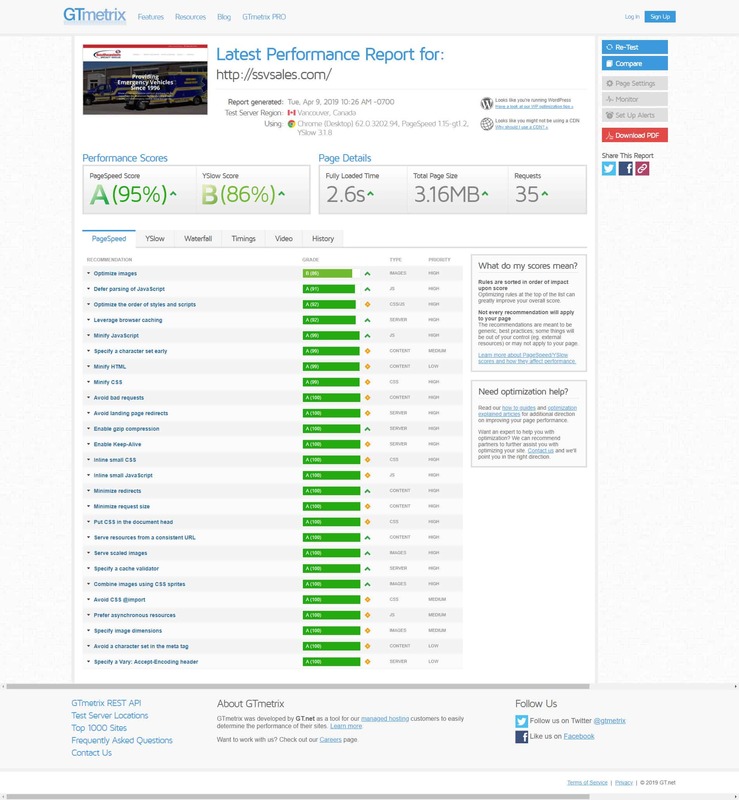 Even with the numerous images used, it still loads extremely fast and ranks well for optimization. 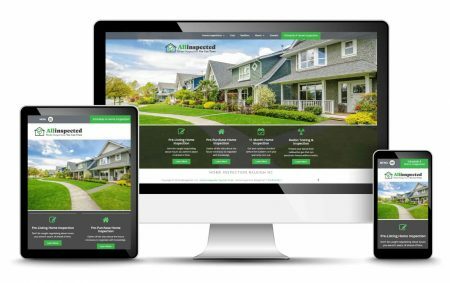 We were pleased they decided to host with our favorite hosting company SiteGround with managed WordPress hosting. Ready To Get Started On Your WordPress Website? Let us build your custom WordPress Website. 100% Satisfaction Guaranteed. View our website prices below to get started.